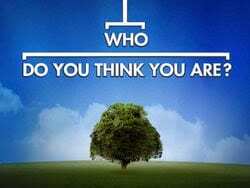 Which Makes a Better Genealogy TV Program? What makes one genealogy TV program better than another? The top two genealogy programs are Who Do You Think You Are and Finding Your Roots. One is better than the other because one more accurately reflects the real genealogy experience. Both programs, however, misrepresent genealogy for what it is. That’s because both programs are constructed as entertainments. A television program, devised from the need to attract a defined audience demographic, cannot ever be true to its subject, because the program will be skewed towards the demographic. In essence, the only general audience appeals the program may have in the end is an appeal to entertain. 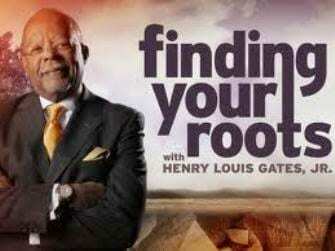 In the Finding Your Roots TV program, Henry Louis Gates presents himself as an authoritarian who will show to a subject’s surprise unknown facts about the subject’s past. His narrative discoveries appear, as if by magic. There’s no insight for the audience into the magician’s bag of tricks. Nothing is required of the focal subject, or of the audience for that matter, other than to sit back and be entertained by Mr. Gates’ wizardry. On the other hand, the TV program Who Do You Think You Are actually displays a journey of personal discovery. The subject must travel from place to place, from one institution to another, often seeking help, to find the desired evidence of fact, often coming up short. The journey may produce yet another clue for yet another segment of discovery, leading in the end to a satisfactory conclusion though trial and error to accomplishment and fulfillment, regardless of one’s originally desired expectation. This more closely represents the real genealogy experience. Ironically, Who Do You Think You Are displays the warrior experience of mythology. The program shows an individual can arise from the unknown to go forward. That person can be tested and tried, over and over, and ultimately return home to one’s family, or tribe, as a hero, who now is the enlightened one. This in fact is how genealogists become heroes among their families. Genealogists are the heroes families turn to. They are ones who hold the tested knowledge, the truth, and the history. Genealogists become family leaders. Mr. Gates, though, would prefer to be every family’s leader and hero. That’s as much an unrealistic expectation as the leaf in the ancestry.com television commercial, which promises if you simply click on it, all your family ancestry will magically be provided. It is not surprising if viewers might not identify with the genealogy experience presented to them in these television programs. Viewers are passive receptors, nothing more than observers. Few among them have been warrior tested. But, if they were, they soon would recognize the weaknesses in these entertainments. In fact, they would probably come to prefer sifting through old records in the basement of a dingy courthouse basement, to sitting comfortably in their lounge chair, awaiting the big reveal. If they’d just go and be tested, they would return with stories as magical, entertaining, informative, and enlightening.